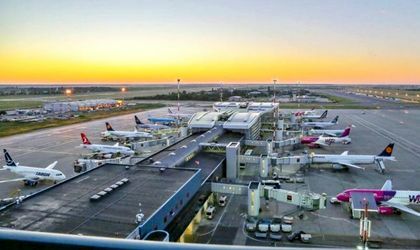 Romania ranks 16th among the 28 European Union in terms of air passenger traffic with 17.9 million passengers carried last year, half the level registered in Denmark, according to Eurostat. 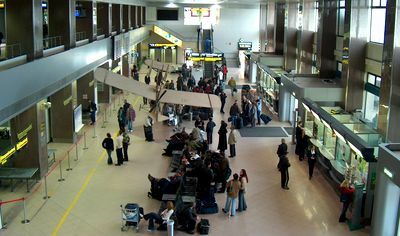 In the same time, Bucharest’s Otopeni airport ranks 37th among the EU’s airports in terms of number of passengers, with 12.8 million passengers, just after Budapest (13 million). In the EU, the largest number of air passengers was recorded last year in the United Kingdom (265 million passengers), followed by Germany (212 million), Spain (210 million), France (154 million) and Italy (144 million). The number of air passengers carried in 2017 rose in all EU member states compared with 2016. “The highest increases were registered in Slovenia (+20 percent), Luxembourg, Estonia, Bulgaria and Czechia (all +19 percent), Romania, Croatia and Malta (all +18 percent), ahead of Poland and Portugal (both +17 percent). Among the top 5 Member States in terms of air passengers transported in 2017, the highest increases were registered in Spain (+8 percent) and the United Kingdom (+6 percent),” Eurostat said. Overall in the EU, the number of air passengers rose by 70.5 million (+7 percent) between 2016 and 2017, driven by the rise in extra-EU (+9 percent) and intra-EU transport (+7 percent).